Today, I found it quite hard to wake up because of yesterday but eventually, I woke up, did the usual early morning things, had breakfeast and set off into adventure. 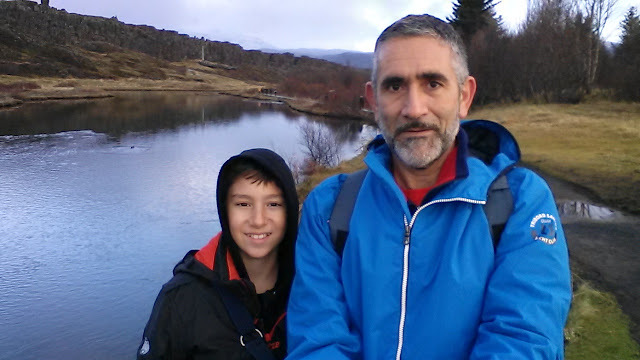 The first thing we did was go to a place called Þingvellir, a place where the first parlament meeting was back in 930 AD! 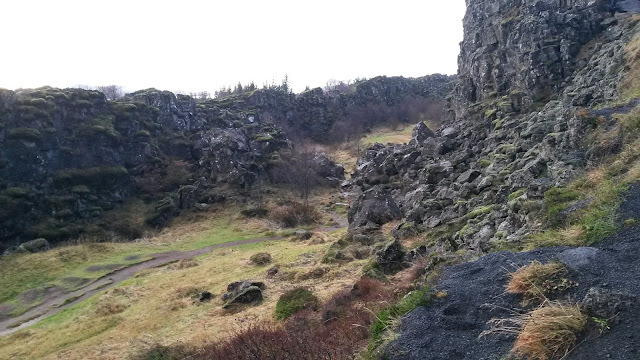 That is also the place where Iceland is splitting up into two! Not until a few million years or so but there is already a big crack in the ground. 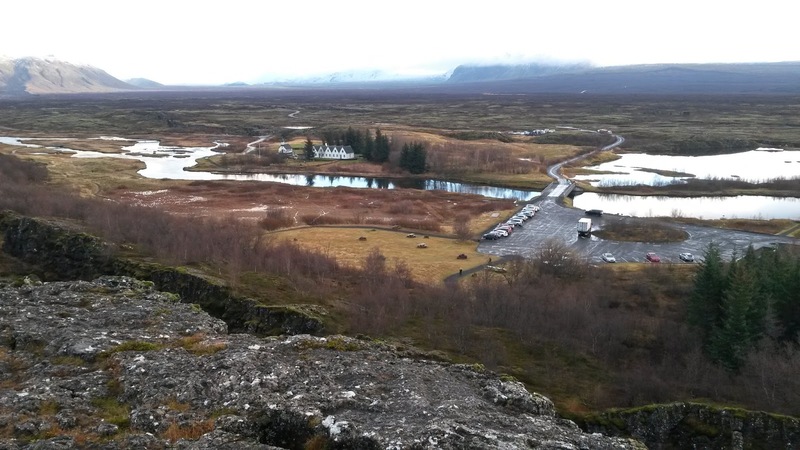 In Þingvellir, there is a park with many beautiful sights like a waterfall called Öxarárfoss. We went to Þingvellir and saw many of the attractions there. 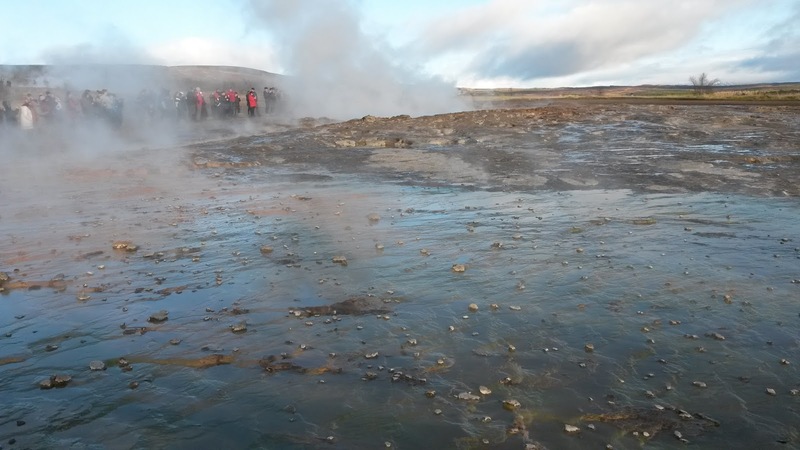 After that, we went to Geysir, a place with lots of geysers everywhere. There are about 30 geysers in Geysir but only one of them is still spraying water out, Strokkur which is often confused with Geysir but Geysir isn't spraying water anymore because people threw too much money and garbage that blocked the water from the volcano so it can't spray out anymore. 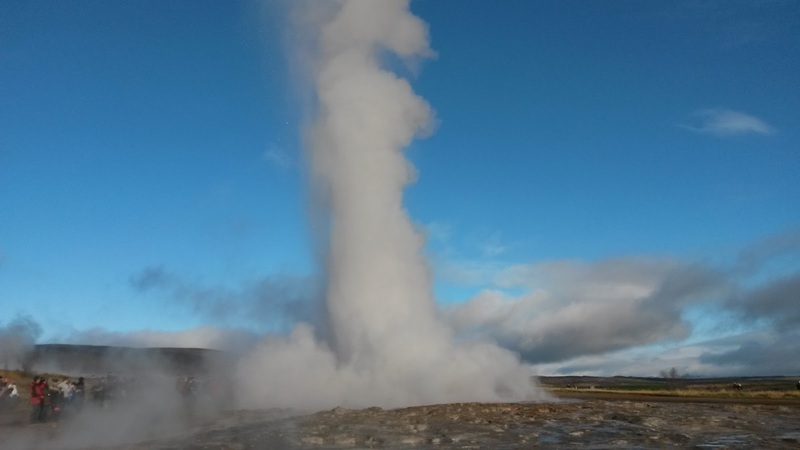 It's a real pity because it must have been bigger than Strokkur which made it really famous. But we still got a picture of Strokkur spraying out water and you can see how far it spreads the water out so I can't imagine how big Geysir's would have been. 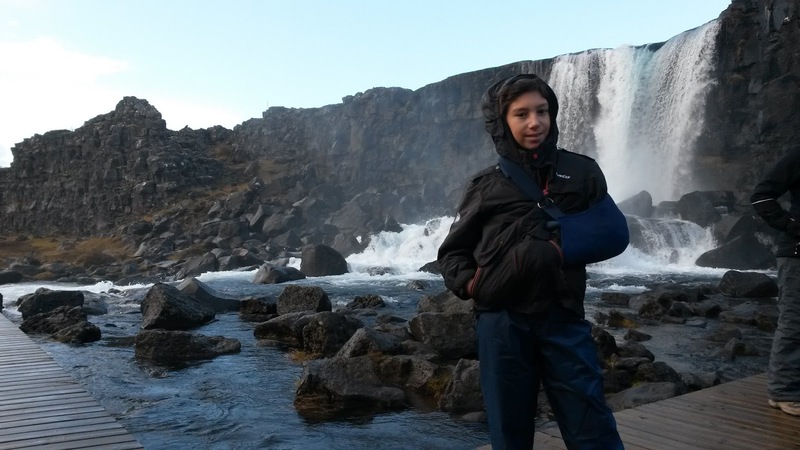 Next up, Gulfoss, one of the biggest, or the biggest waterfall in Europe. 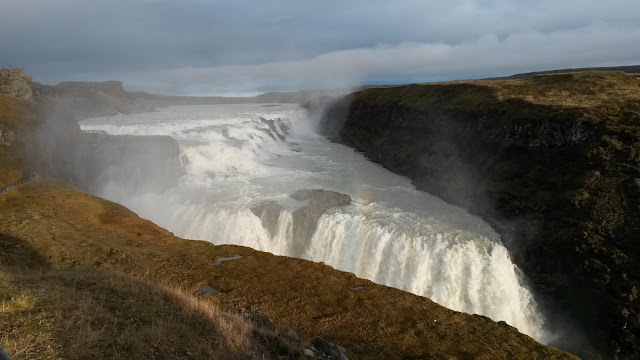 Gulfoss had two drops. One 11 metres and one 20 metres down. Isn't that amazing! But whats even more amazing is that there is more than 2000 cubic metres of water falling down from the two drops every second! To me that is just unbelievable. The fact that so much water in one second falls down... wow. Anyways we went there and took a few pictures there and Tonio took a video because maybe he needs to take a video to show that water is falling and that it's not fake? I'm not sure I need to ask him. In the end, we went to Hveragerði, where our hotel was. We checked in, went into our room (this was the average hotel) stayed there for a while and then went downstairs to have dinner. It was quite the same as last time we had dinner in Iceland. Great ratings but a little expensive. The food was really delicious. I had some pasta (surprisingly good for Iceland) and Tonio had some lamb. He said it was the best dish in Iceland so far. I had to have a try. It was mouthwatering but Tonio said the best part of the food was the salad but I'm not much into salads so I let Tonio eat his salad. We went up to our room, did our evening things and drifted off to sleep... Did you enjoy our first full day? 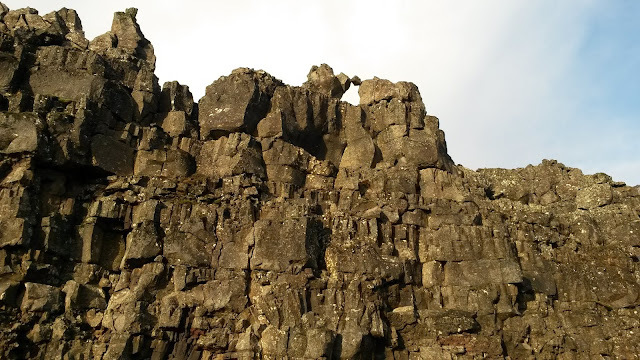 If you have, make sure to read all the other days coming up soon in Adventures In Iceland!! !